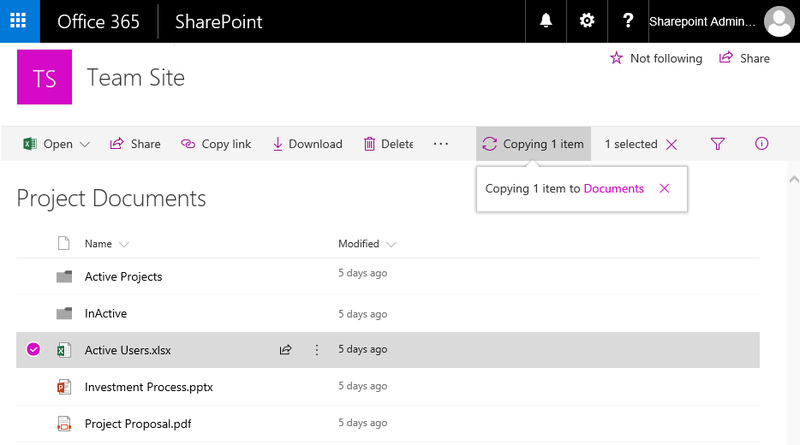 How to Copy a File in SharePoint Online Document Library? This opens information panel in the right. Select the target library to which your file needs to be copied. You can select current library, any other library in the current site or even a library in any different site collection. Pick the library and click on "Copy Here" button to start copying the file. You'll see the "Copying" message in tool bar and your file will be copied momentarily. 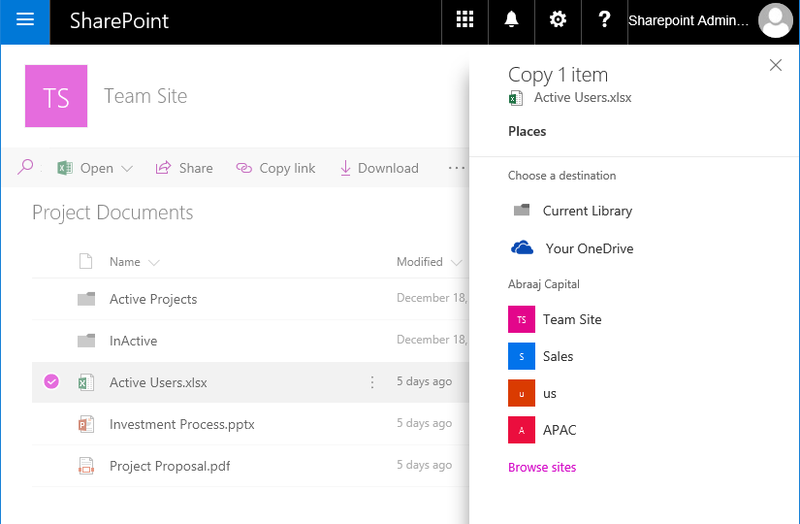 Here is the PowerShell to copy files in SharePoint Online document library. This method copies given document either to same document library or different document library with in the same site along with its metadata fields (Except: Created by and Modified by fields - and obviously, the columns should exists in both libraries)! 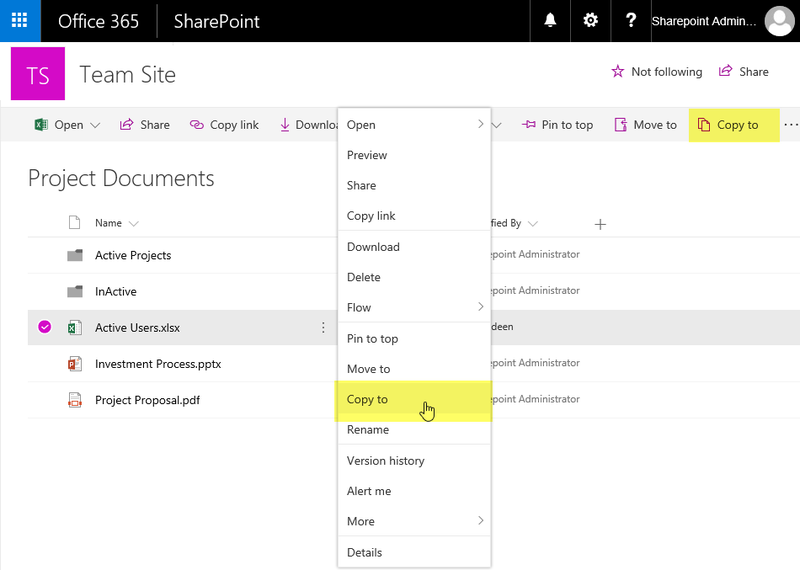 Here is the PowerShell to copy files from one library to another in SharePoint Online. Write-host -f Green "File Copied Successfully!" $TargetURL = "Shared Documents/Discloser Asia-v2.doc"
The Copy-PnPFile cmdlet can be used to copy a file to same library, between different libraries in different site collections! $TargetURL = "/Sites/Sales/Shared Documents/Discloser Asia-v2.doc"